The Irish Cancer Society is inviting young people and youth groups in Offaly to be part of Ireland’s Tobacco-Free generation and get involved in this year’s X-HALE short film competition. This is an exciting opportunity for budding Offaly filmmakers aged 10-24, to help spread the word about the impact of smoking and encourage their friends, family and community to be smoke free. 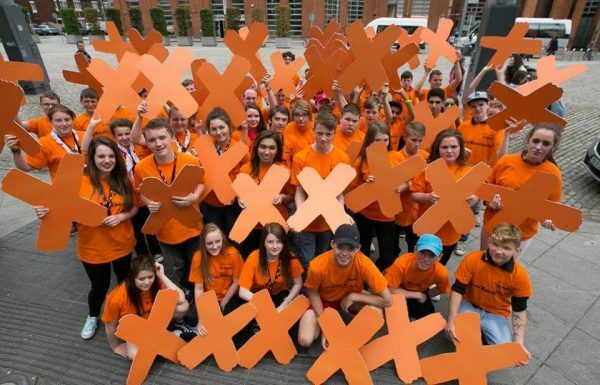 Through X-HALE, the Society provides funding and training to youth groups around the country to encourage young people to address tobacco use and empower them to take action in their communities by making a short film about the impact of smoking. The closing date for applications for funding isWednesday 28th February and film entries will be accepted until Wednesday 23rd May. Sarah Chadwick, Cancer Prevention Officer at the Irish Cancer Society said: “Our 2018 training and funding opportunities are now open for applications and we want youth organisations across Ireland to get involved and drive the movement towards establishing Ireland’s first smoke free generation. For more information or to watch the new documentary, X-HALE: A Tobacco Free Generation in the Making, visit www.facebook.com/XhaleYouthAwards orwww.cancer.ie/xhale.